The Second Amendment to the U.S. Constitution guarantees each American the right to keep and bear arms. In a perfect world, as both U.S. and Florida citizens, we are afforded certain other rights as well– the right to vote, to serve on a jury, and to hold public office. 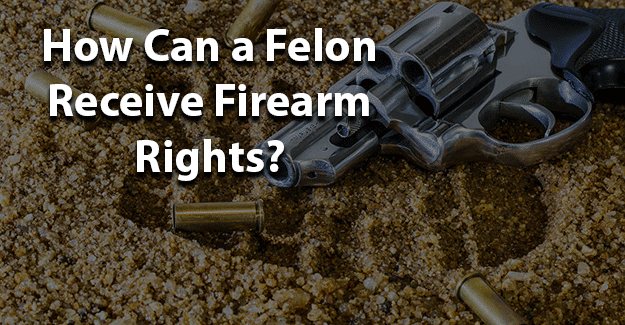 However, a Florida resident who is convicted of a felony forfeits those rights, including the right to gun ownership. How does a citizen go about restoring the right to gun ownership once his or her societal debt is paid? All sentences imposed for your most recent felony conviction must be completed, including all conditions of supervision. This includes parole, probation, community control, control release, and conditional release. All sentences, including probation, must have been completed for at least eight (8) years. You may not owe any outstanding fines or liabilities totaling more than $1,000 resulting from any criminal conviction OR traffic infraction. You may not owe any outstanding victim restitution, including any restitution pursuant to a court order or civil judgment. Applications for clemency with the specific authority to own, possess, or use firearms must be submitted to the Florida Office of Executive Clemency, along with certified copies of the charging document, judgment, and sentence or probation order for each felony conviction. You can obtain certified copies of these documents from the Clerk of Court in the county in which your conviction was entered. The Florida Office of Executive Clemency does not accept or process applications for those convicted in military, federal, or out-of-state courts. Once you have submitted your application, it is screened for eligibility. If you are found eligible, your case will be assigned to an investigator and will be handled on a first-come, first-served basis. The investigator assigned to your case may interview you, and you may or may not be subject to a clemency hearing based upon the results of the investigation. If clemency is granted, you will be notified and a certificate issued. If denied, you will be informed of the disqualifying issues and advised of next steps. You may not reapply for any form of executive clemency, including restoration of gun rights, for at least two (2) years from the date of denial.